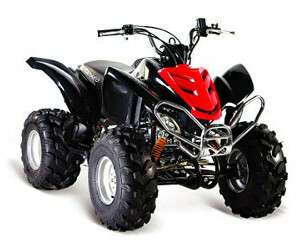 We offer thousands of Used ATV Parts instantly searchable. Find here used, cheap & second hand pieces for your atv or quad bike. Navigate our website through the lists or try the ATV Salvage Yards search engine in order to find nearby providers offering the quad bike and atv pieces you are looking for. Looking for a specific quad bike part? You are in the right place! The list below offers the top cities with atv pieces salvage yards available in our database. On the next screen you will see all the dealers found near the selected city. Browse the list below if you want to search ATV parts and quad bike pieces by state in our website. Then, you will access all the providers available near the chosen state. Find here the most voted ATV pieces salvage yards by main city. Are you looking for a specific used quad bike piece? Feel free to use our search engine! Acquiring second-hand ATV parts can save you a lot of dollars, but it's important to do the calculations well before you go to the junk yard. The best method to do this is to create detailed price comparisons. One way can be to locate the price of the new piece that you need and put it as a reference price to see how much you save from it. From here the ideal would be to get prices from the nearest salvage yards and recycling centers to compare with that base price and check what you save in total. This system is especially good for your pocket because the used pieces are not always cheaper than the new ones. Sometimes you can compensate more by purchasing something new for only few dollars more. Nowadays it's rather simple to locate good second hand ATV parts. You can get them at authorized recycling centers, specialized salvage yards or even online distributors. What we advise you from here is that, before buying pieces anywhere, check the prices in the area for that spare you need, comparing to know what you will have to spend at the end. Do not hesitate to contact all the junk yards in your area, at the end your pocket will appreciate it. If you finally make the decision of buying in a classic scrap yard, know that it is not frowned upon to bargain a little the price, always with respect and courtesy. It is essential to be careful when purchasing online, and even more so when it comes to used spares for your ATV. In some cases, the piece that appears in the image is not the one that finally comes to home. Do not be afraid to phone the provider to make sure that the part you are purchasing is going to work without problems on your ATV. The most practical recommendation is to always ask before buying, check with your friends and family and do not forget to check all the online opinions you can. Keeping your ATV in great condition can cost a lot of bucks if you purchase new OEM parts. On the other hand, it is much less expensive when you obtain second-hand spares from trusted sellers. It is about many thousands of dollars of savings in some cases. It is more interesting to be patient and search until you find the piece you need at the best price and with a guarantee. Salvage yards that sell good used ATV pieces usually have great online reputation. With a few searches on Google you can find if the company receives good opinions from other users. You can also ask friends and family who have had experience buying at these centers.